-Set of big Alcons, thanks Nick for supplying so promptly! -Gearbox checkover/refresh and fit Cup diff plates, again thanks Nick for recommendation! -Sort out "failure Indicator" on water temp gauge, fault reader shows a stuck thermostat, or is it an intermittent connection? Oh and some new wheels! 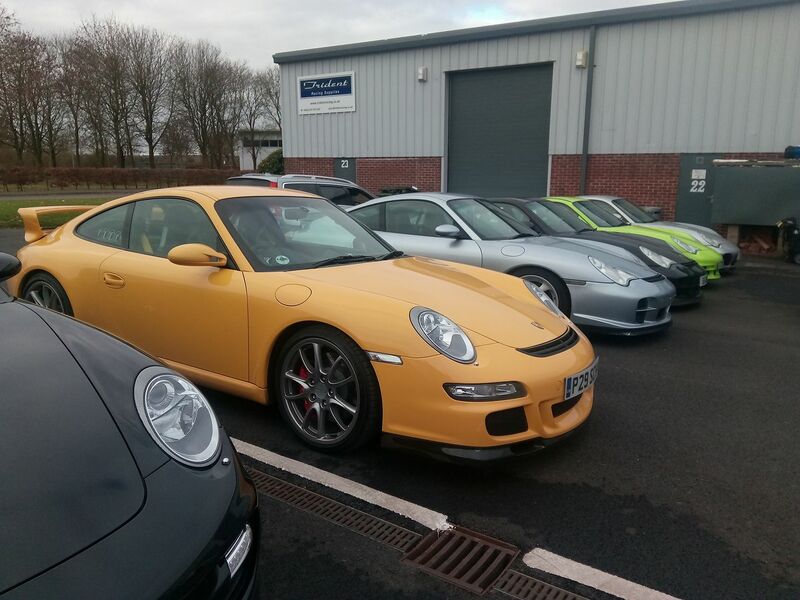 Any more pictures of that green 996GT3? Matt is a good guy, you won't go wrong but he had better finish building my engine first lol. 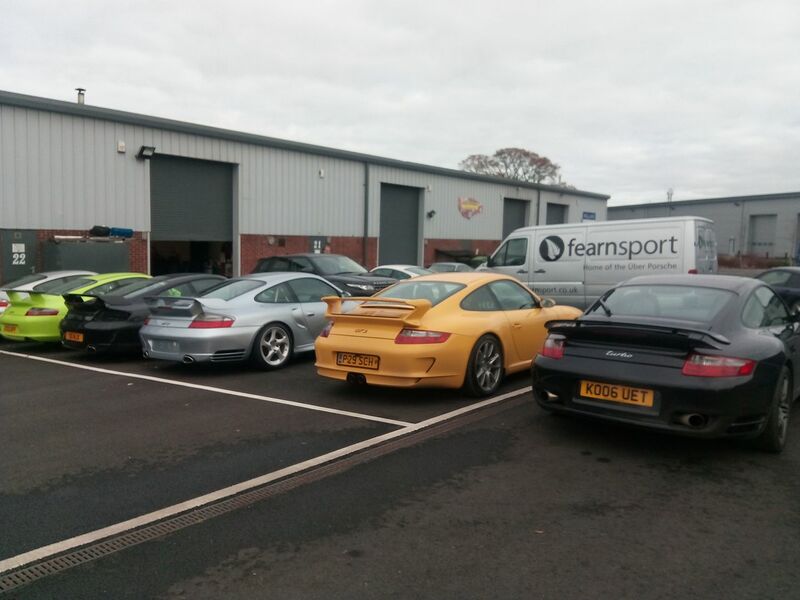 Can just about see my car, silver turbo at the front of the que. 380 diameter Alcons/ Pagid RS29s courtesy of Nick https://uber9s.com/997-gt-gen-1/. 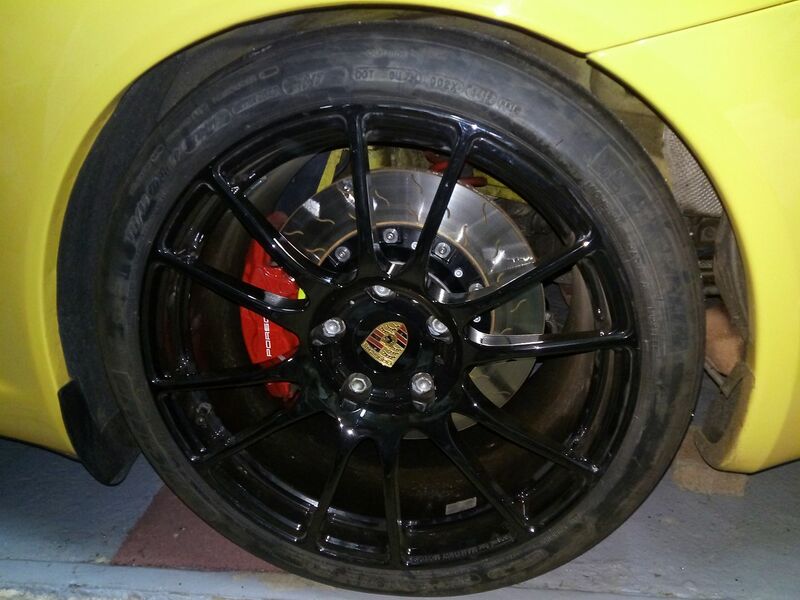 Matt machined the calipersto fit the discs, made up spacers and fitted longer bolts to enable the fitment of the existing six pot calipers. Wow what a difference! 360mm Alcon rears, looks alone make it worthwhile! 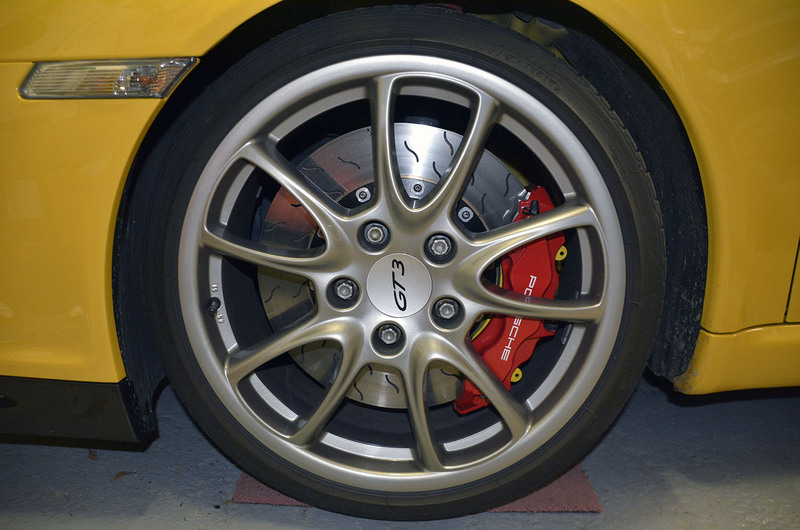 Goodbye to cracked discs, hello brake feel and stopping power. 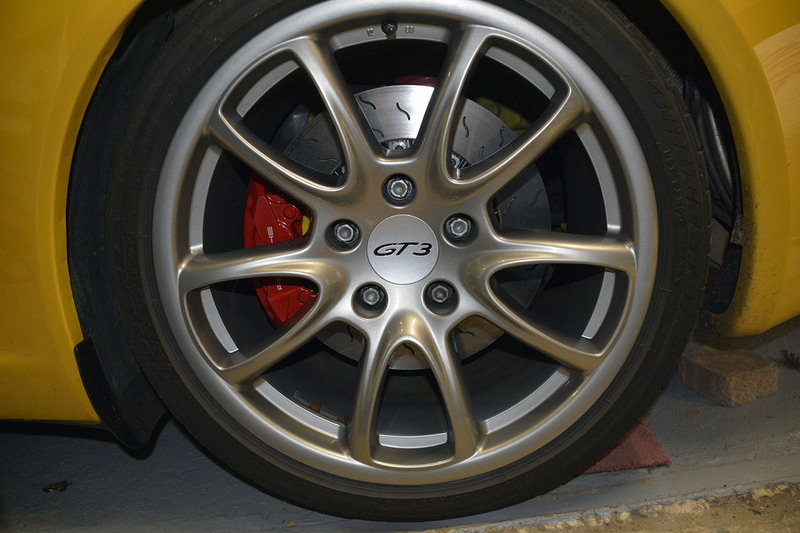 BTW, the rears are 360mm not 362mm; 362mm are the largest we do for the front without having to mod the calipers. Likewise, Nick! Was Great putting a face and a name together too! Have corrected the size on the pics now. Thankfully, Kay is very supportive of all things Porsche related, so hopefully, future tinkering support shall continue unabated! Indeed, after we left you guys, we dropped into GPR and she bought me a nice Sparco race suit as a Christmas pressie, for when we do more trackdays, just need to learn how to "pedal" it now. 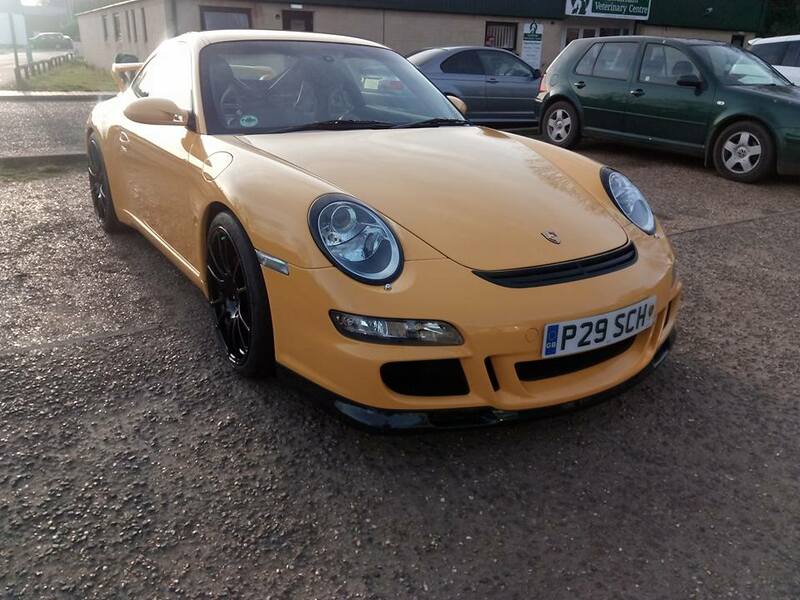 I reflected on your comments about ride height and that my car is set up for Green Laning in Norfolk , you mentioned a webpage or site, where I could read a bit more info on GT3 set up, but in the excitement of collecting the car, I forgot the name, perhaps you could remind me of the name of it? Not really an "it", more a "he"
Roland Kussmaul was a Porsche factory race engineer for 30 years. 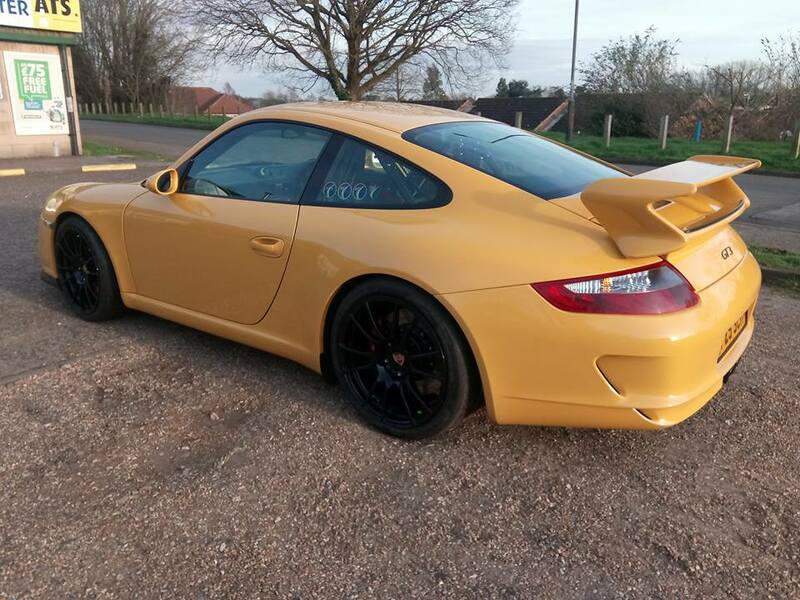 He came up with the optimal GT3 track geometry setup on the 996 & it's a good starting point for both the 996 & 997. 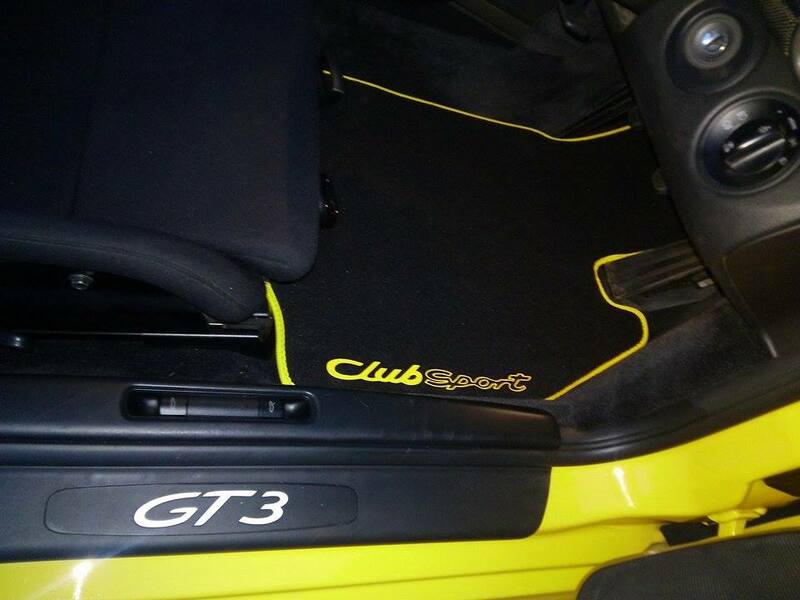 Make sure you have the rear GT2 rollbar installed; the original is too soft. Front toe out can make it a bit twitchy on the road so I prefer 0 front toe. I ll put it on our laser alignment rig in the New Year! 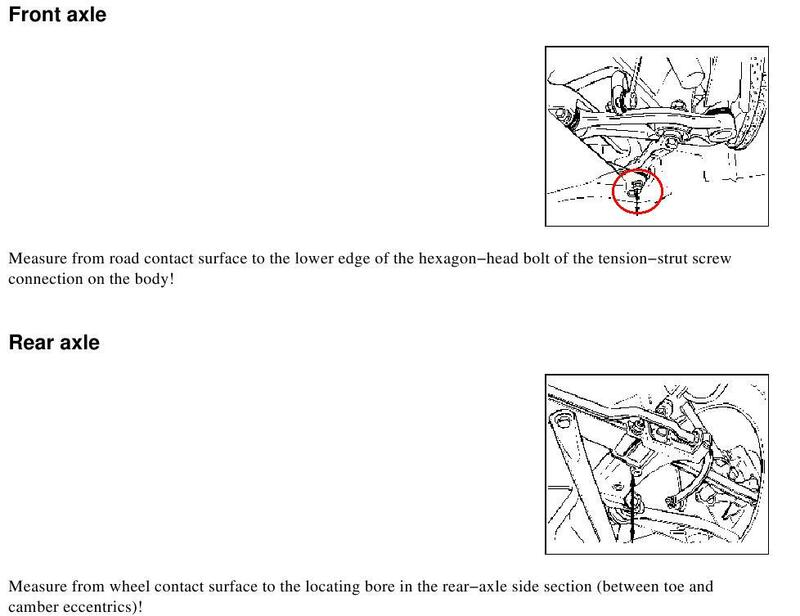 Where are you measuring ride height to? Underside of sill? GT2 bar already fitted so ready to get spannering! Nooo - nowhere that accessible! 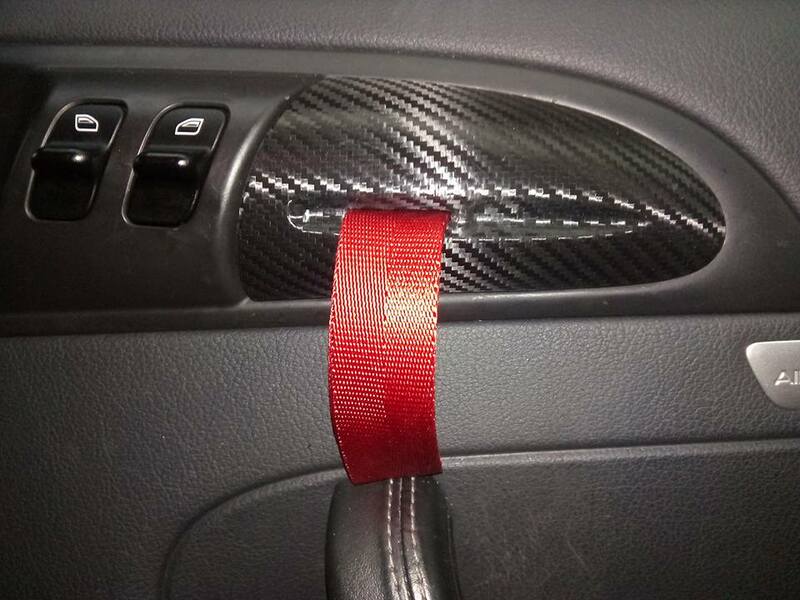 Finally some truly essential interior parts, dunno how I survived all these years without them! See Ya at Goodwood MM at weekend? 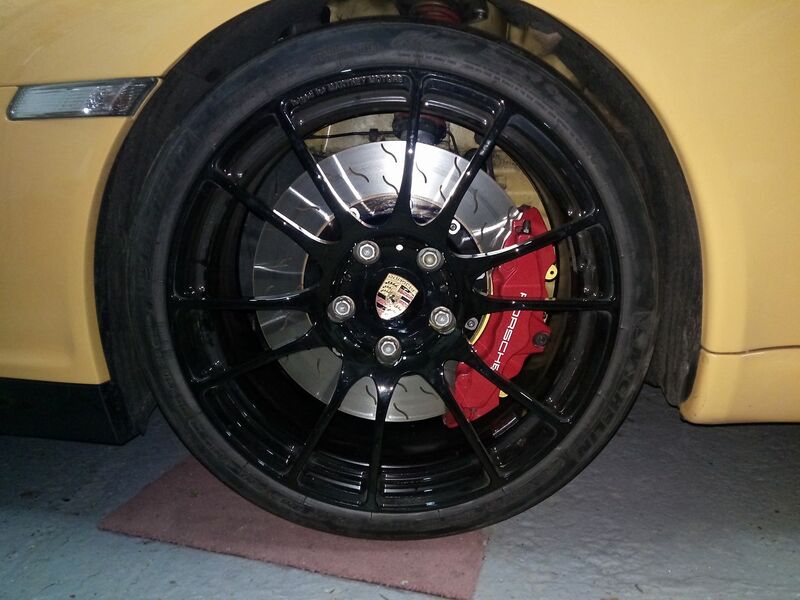 Well the new Alcon brakes from Uber9S, Cup LSD both ably fitted by Fearnsport, as well as the Manthey wheel/ Michelin Cup tyre combination with the reset Geometry certainly proved themselves yesterday. 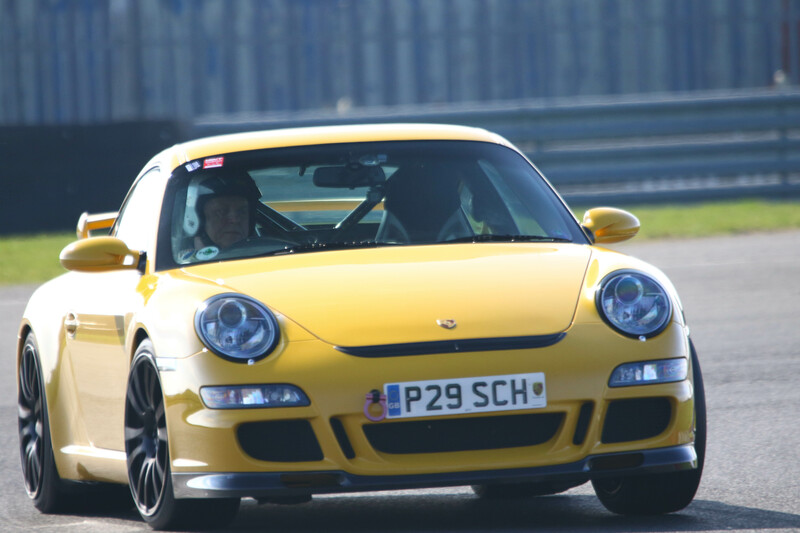 I was really able to lean on it under braking and in cornering on it's first Snetterton trackday of 2017 on Tuesday.